We know that eventually The Originals would turn its attention to Davina, which is quite unfortunate for us all. Davina, having been expelled from her coven and unable to interact with any witches she is friendless, well except for The Originals favourite GBF Josh. I am beyond tired of Davina's relationship with Josh. When has she helped him or really been there for him? When Aidan died, Josh crawled away and licked his wounds by himself. Well, Davina is in need so Josh has to come to the rescue. Davina is given a spell which could potentially bring back Kol from witch purgatory. The problem with this spell is that she has to align herself with the Strix. Josh like the wise gay character he is, advises Davina that this is not a good idea and that furthermore, heading to purgatory to ask Kol about it is just as bad. Davina however will not be stopped and uses Josh as a lifeline. It turns out that purgatory is an empty New Orleans filled with bars and plenty of booze. What would an Original vampire be without having access to booze? Davina quickly finds Kol but is shocked that his face has changed. As a witch, he was the ever so hot Daniel Sharman’s but as Kol he vampire he has the original face belonging to Nathaniel Buzolic. Davina is a little confused and Kol is worried that she isn't attracted to his actual face, so he pulls out the charm and Davina is all good. Personally, I miss Daniel Sherman. After doing his charm thing (which btw is about as appealing as a sales pitch from a used vacuum cleaner salesmen) Kol tells Davina that the spell won't work. Davina doesn't buy it, so Kol finally admits that it will work but says that working with the Strix is a very bad idea. Since Davina doesn't do sensible advice we know that she is going to get into bed with the Strix, especially given that they now have an opening. Like the good GBF that he is, Josh runs to Marcel to report that Davina is getting into bed with the Strix. This means that Josh's current path will be to be on team rescue Davina from herself. Can we please give Josh something to do other than rescuing Davina or being Davina's shoulder to cry on? He has become nothing more than one big gay trope and it's irritating to say the least. Cami is now a vampire and that dark side she was worried about makes it appearance. I don't however think that compelling a sexist rude customer to over tip a bartender is a bad thing, despite the way the writers meant for me to read this situation. Klaus better than anyone should know the temptation of being a vampire and the difficulty with handling one's emotions but for some reason decides to give Cami a daylight right from the get go. Is anyone else wondering where the daylight ring came from given the fact that the witches aren't exactly into working with the vampires now? Anyway, this has Klaus chasing Cami all over the Quarter, finally bringing her back to the compound. Hayley is still mourning the loss of Jackson and asks to stay at the compound for awhile. Elijah of course is quick to say yes to this request. It's all over his face that he is deeply in love with Hayley. I guess we will have to see how long Jackson's corpse is allowed to cool before these two hop into bed together. The only one to call Hayley out in her grief which is actually guilt is of course Cami, who seems to have her humanity switch turned off. Sure, it's not nice but it's accurate. You would think that with their leader out of the mix that the Strix would be done but guess again. It seems that Aya has taken over control and has devised a loyalty test utilizing their witches. Surprise, surprise, Marcel actually passes. Hmmmm. Why would Marcel pass? Aya is very aware that a threat still looms against the Originals and is determined to get to the bottom of it. Aya convinces Elijah that it is in his best interest to work with them. To that end, Elijah gives himself over to the ministrations of Ariane, who has to look into Elijah's secrets to discover where the threat lies. Given how closely Elijah guards his secrets, this makes Ariane dead witch walking. Ariane gives Elijah some cryptic clue about a horse and is not surprised when he returns later to kill her. This is one of the few times where the witch being killed is White in this universe. It's rather telling that Ariane sees her death as being set free. For the viewer it's another indication that Davina's intention to join the Stryx witches is a bad idea. The problem of course is that I don't really care what happens to Davina's character as this point. So, Klaus figures out that what can kill them is a horse he carved for Rebekah when they were children. That's right, the horse is made from White Oak. Unfortunately for them all, Cami is now in possession of the horse. The old Cami may have been willing to accept that she is out powered but this new Cami is not going to make any concessions. Cami wants her family items back and makes it clear that she will trade them for the horse. I find this whole storyline ridiculous. I get that Cami has gone dark but where is her sense of self preservation or at the very least pragmatism? Sure, Rebekah (her sire line Original) is missing but an item made out of white oak actually puts her at risk. We have seen that when an Original dies, all the vampires in their sire line die as well. You would think that for that simple fact alone, Cami would just throw the carved horse into a roaring fire. A strong and empowered Cami is a good thing but a stupid one not so much. 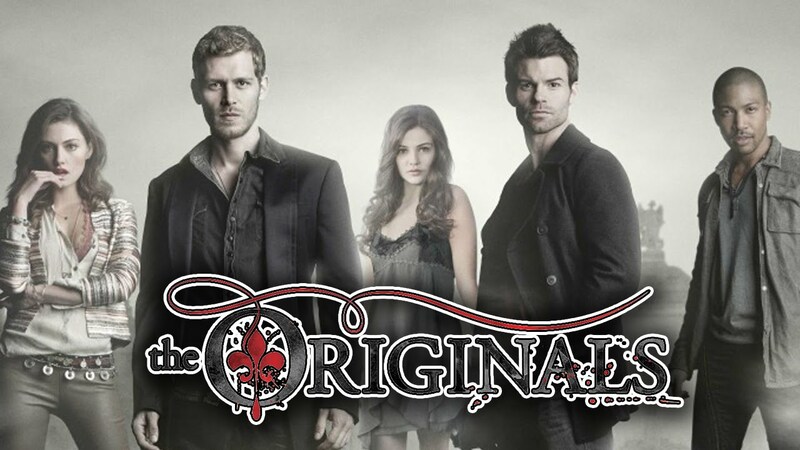 The Originals is yet another show that has issues with strong female characters. Whenever Rebekah or Hayley get into a fight, they are certain to be overpowered and lose. None of them has ever had a moment of pure awesome. We have Cami strolling through the Quarter throwing around her weight but she is a fledgling. Klaus may love her but we have seen what he does to people who cross him. There's a countdown clock running to Cami being taught a lesson and I am not looking forward to it whatsoever. It's going to be another occasion of a woman being taught not to step out of her place. I find myself once again noting that The Originals has a serious problem that the writers cannot seem to find a way around. Julie Plec has made the Originals such strong and powerful characters that nothing can really represent a threat to them, hence the writers introducing a carving. It's bad enough that as viewers we already have the knowledge that the Originals are going to win whatever battle they enter because otherwise the show would end but to then have these characters who are so strong it is hard to suspend belief whatsoever. The threat that this little carving posses while supposedly grave, doesn't actually give me, the viewer, a sense of real peril and in large part this comes down to the fact that the Originals are so strong. I don't know if the writers will ever be able to write themselves out of the box they have painted themselves into but I don't see it happening with this carved horse.